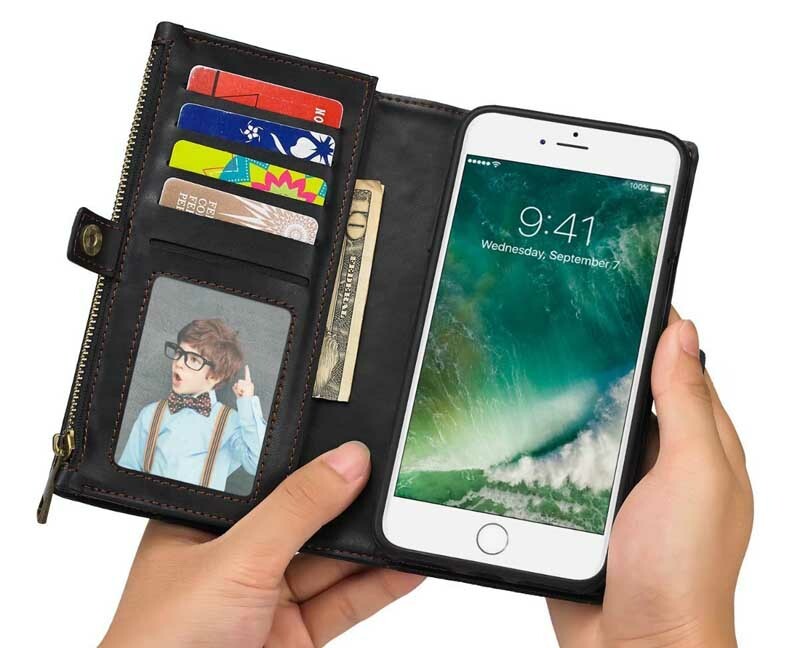 Free Shipping, Buy BRG iPhone 6S/6 Magnetic Detachable 2 in 1 Multi-functional Leather Wallet Case Wrist Strap at Casemecase.com. 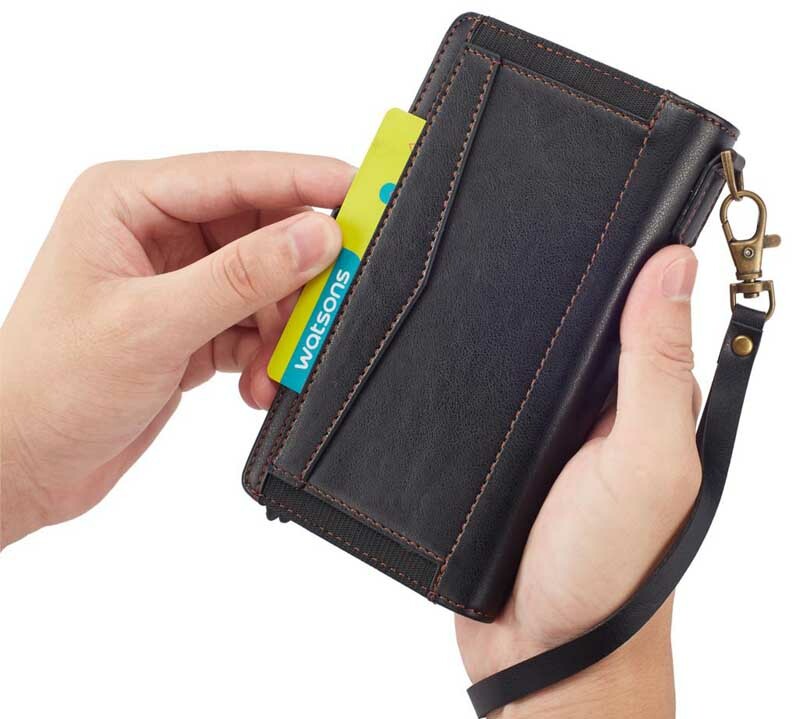 5 Card Slots + 1 Currency Pocket + 1 Zipper Coin Pouch. 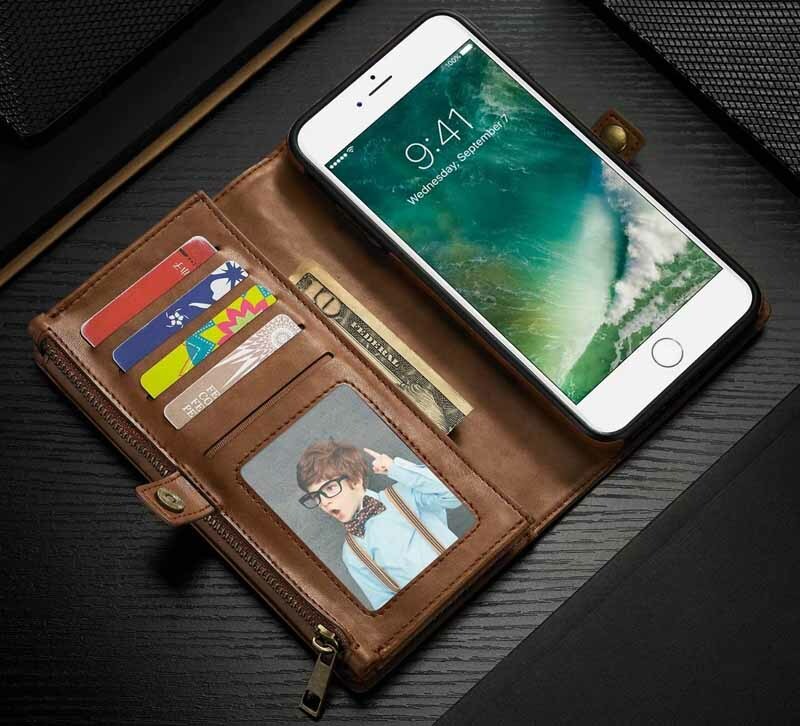 If you’re looking for a phone case that is unique in design, carries cards and money, and is easy in use, this is it. 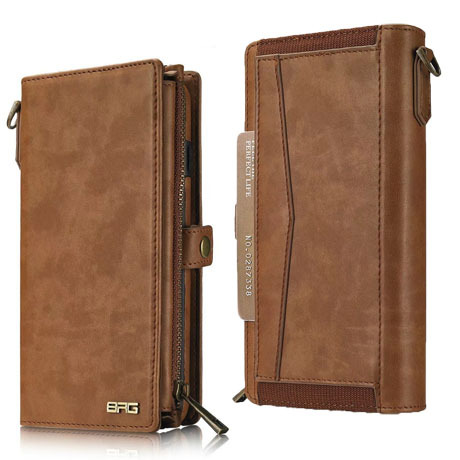 BRG iPhone 6S/6 Wallet Case: high quality and good durability construction, also maintain the fashion look. 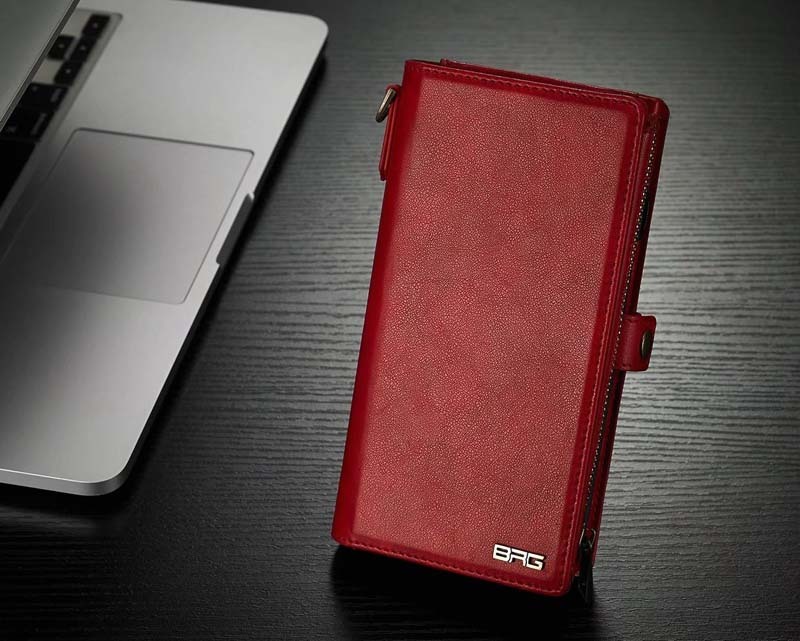 Detachable 2-in-1 design, Multiple card slots and photo slot for bringing your credit cards and photo conveniently. Zipper closure cash compartment for easy cash carrying with phone securely. 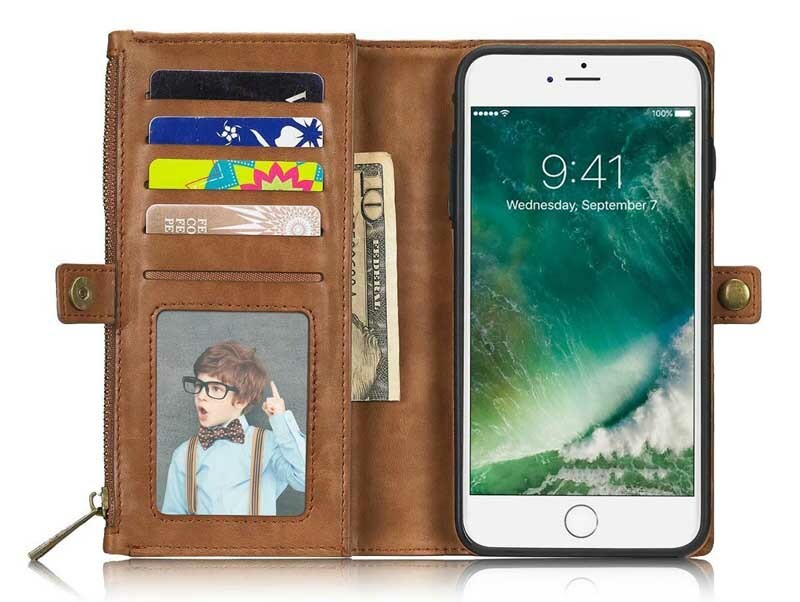 Leather wallet case protects your iPhone 6S/6 from impacts and drops, and is easy to clean and maintain. 5 Slots (an ID window) and 2 inner pockets Conveniently Hold credit cards and small change. 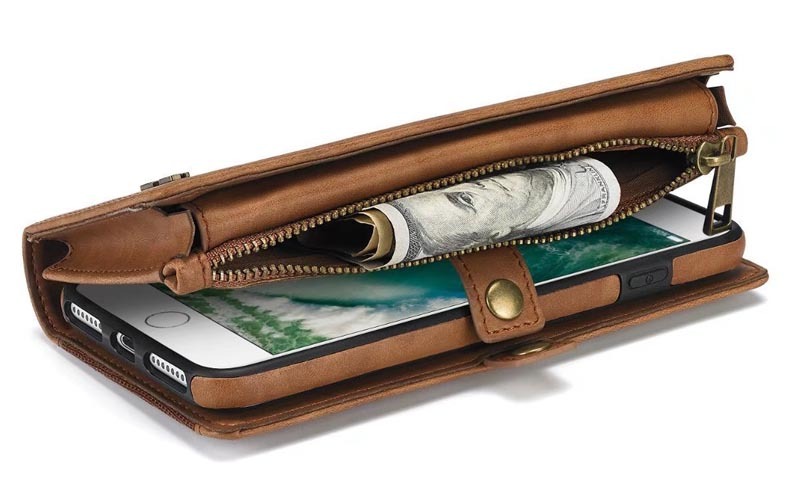 Zipper closure cash compartment for easy cash carrying with phone securely. Provides excellent protection and prevents scratches, finger print, dirt and daily wear and tear from accumulating. Love it! Very good quality for the money. The phone detaches and the case is very convenient. Great color! I have had this item 5 months and it is still like new. It is very durable and very convenient! I receive compliments all the time!